Once known as sugar confectionery, the category has largely been rebranded as ‘candy’ to reflect the focus on reducing or eliminating sugar content – but the NPD keeps on coming which is great news for retailers and shoppers. Not so very long ago, the category that we now generally refer to as ‘candy’ was referred to sugar confectionery. That was before the days that sugar became a dirty word and it seems very clear that much of the focus of manufacturers big and small these days is on producing low or no sugar options. 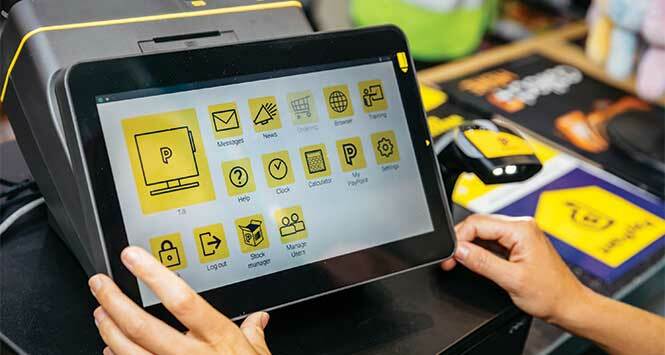 This approach makes sense for several reasons: evolving consumer demands, existing and proposed legislation and, not least, a growing interest among the industry in the health of the shoppers that make the local retailing sector possible in the first place. The good news is that suppliers are getting behind the evolution and are arguably the key driving force behind the rapidly changing face of the candy fixture in a typical Scottish local retailing outlet. 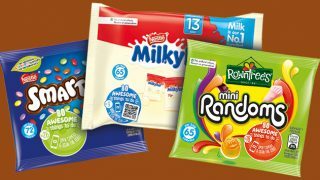 Neil Thornton, National Account Controller at Fini Sweets, says: “The candy category is one of transition with manufacturers currently looking at sugar reduction, alternative sweeteners and more portion-controlled packs with appropriate weight. According to Thornton, the candy category as a whole is slightly down on a MAT basis by both value and volume across Europe, a development he believes to be driven by consumers buying less but buying into more premium lines and dietary specific options. “There is also an increasing number of consumers that are looking to buy products from companies that can demonstrate fairness, transparency and integrity,” he adds. Fini Sweets has risen to this challenge, producing what he calls “a vast ‘free from’ range of products that satisfy many dietary requirements from gluten-free to vegan or vegetarian”. The company has also evolved its packaging solutions to enable portion control for shoppers looking to enjoy ‘little moments of fun’. Another candy manufacturer positively embracing the shift to healthier treats is iconic Scottish producer Golden Casket in Greenock. The company will be launching a new ‘Less Than 250 Calories’ range of hanging bags in April. The range will provide the ideal low-calorie complement to the company’s hugely popular range of £onepounders. The initial ‘Less Than 250 Calories’ range will comprise 10 ‘guilt free’ bags including gums, midget gems, boiled sweets and crumbles. The range means that shoppers in need of a treat can have one with a clear conscience. As the company points out, the fact that the bags contain fewer than 250 calories means that shoppers don’t even need to share them! 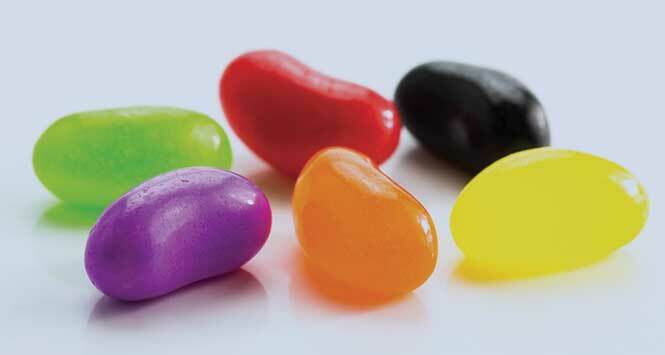 Summer this year will see the launch of a new range of 30% less sugar products from confectionery brand Bebeto. The range will include three products – Rainbow Laces, Strawberry Laces and Strawberry Pencils – all with 30% less sugar. The products will be supplied in attractive, shelf-ready packaging and are high in fibre and with no artificial colours, sweeteners or flavours. The reduced sugar sweets will be available with an RSP of 39p each or 3 for £1. Kids candy supplier Haribo has unveiled a new seasonal campaign which invites shoppers to ‘Hunt the Double Yolker’ in limited edition bags of Starmix. With premium UK Forest Holidays up for grabs, shoppers have until 21 April 2019 to find one of 20 random ‘Double Yolkers’ that have joined the five iconic pieces in its top selling bags of Starmix. The product is available now and the promotion is being supported by in-store activation that has been designed to drive category sales for retailers. That thinking has driven the evolution of one of the UK’s most popular candy brands, Maynards Bassetts, over the last 18 months. 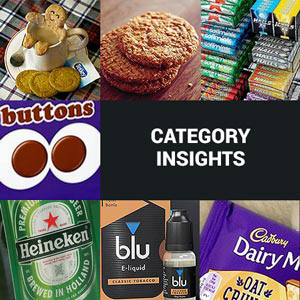 The brand has brought innovations and a host of new flavours to the sector with Gummies and Jellies in the small bag sector plus Wine Gums Mocktails, Jelly Babies Tropical, and Wine Gums Tangy, which have been highly incremental to the category. Wine Gums Tangy alone, for example, brought in £1.6m incremental RSV in its first year [Kantar, Jul 2018]. Launches like Maynards Bassetts Soft Jellies Wild Safari also helped bring younger adults into the category to boost these incremental sales too. Most recently, Maynards Bassetts announced its first ever sour Soft Jelly product – Soft Jellies Fizzy Fish. Designed in the shape of fish to tap into consumers’ playful sides, each bag contains a selection of flavours including consumer favourites orange, strawberry, blackcurrant and lime, made with natural colours and flavours. 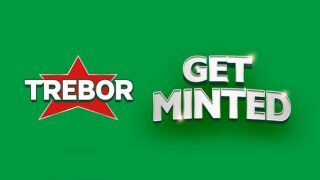 The company’s portfolio also includes the Trebor brand, the UK’s number one mint brand with a 35% share of the mints and gums market in the UK [Nielsen, Sep 2018], a figure which is nearly double its nearest rival. The brand has been developed recently with the launch of its first ever hard-boiled, sugar-free candy – Trebor Cool Drops. Recently launched in a handy 28g flip-top box in two flavours, Trebor Cool Drops Sugar Free Extra Fresh and Trebor Cool Drops Sugar Free Lemon, the innovation aims to bring new consumers to the category to drive incremental sales with a new candy that has less than 100 calories per pack.